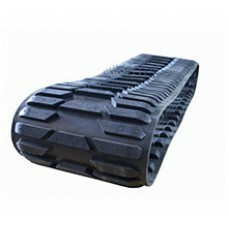 Lonking LG6060 Rubber TrackThis staggered lug design provides good traction and added performance in..
Lonking LG6060D Rubber Track is manufactured with metal core, rubber and steel cord together; the fi..
Lonking LG6065 Rubber Track Descriptions:Industry-leading durability, reliability and performance:50..
Lonking LG6075 Rubber Track Features:Improved traction for better operation efficiency;Shorter stopp..
Lonking LG6085 Rubber Track Descriptions:Features:Durable, long-lasting tracksDeep tread for improve..
Lonking LG6090 Rubber Track CHARACTERISTICS:- forged iron core;- cables with increated thickness;- h..
Lonking LG6150 Rubber Track Descriptions:Industry-leading durability, reliability and performance:50..
Lonking LG6215 Rubber TrackThis staggered lug design provides good traction and added performance in..
Lonking LG6215D Rubber Trackcreates a highly versatile track with good balance and traction. The des..
Lonking LG6225 Rubber Track Features:Hihg quality/Brass coated cable Bundles;100% forged metal piece..
Lonking LG6225D Rubber Track is designed with tough applications in mind. 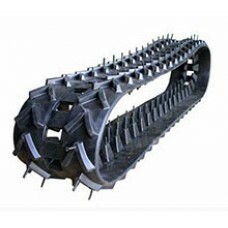 Each track is designed to ..
Lonking LG6225H Rubber Track Descriptions:Toughest rubber compound for extended track life & durabil..
Lonking LG6235 Rubber Track Descriptions:Industry-leading durability, reliability and performance:50..
Lonking LG6235H Rubber Track is manufactured with metal core, rubber and steel cord together; the fi..
Lonking LG6245H Rubber Track Descriptions:Industry-leading durability, reliability and performance:5..